What is the initial stepping stone for personal development? This question bothered me for some time now. I don’t mean external factors like a lucky gain on something or a very negative experience we had that shaped our life. I’m talking about what has to happen internally inside ourselves. What interested me was always to look inside first, to live inside-out. How do we run the inner “program” to function in a best possible way, to enable ourselves to grow and expand? For me I came to a conclusion. I think there is nothing more important as a first step, than taking full responsibility for what happens in our life. A lot of what we describe as success in life flows directly from it. Or you could say only the responsible person enables him- or herself to get to the next level of personal development. So to sum it up in one sentence: You are responsible! You are responsible for everything that happens in your life. For everything you are happy with and everything you are not happy with. You simply must accept the fact, that everything that is around you right now is the direct effect of who you are, of who you were to that very moment. There is a very illustrative saying here: “To the person you give responsibility, you give power.” – That is also the power over you. So better let this person be yourself, at least in the important areas of your life. Taking responsibility is the starting point for growth in your life. It is looking inside and realizing that if you want the world around you to get better, you will have to get better. And it is fun to change for the better once you see that you will make progress in a desirable direction. If you haven’t taken full responsibility in your life, then somehow you are still waiting for “real life” to begin. This may sound a bit cruel, but really that is the essence of what it is. Something has to happen, something is not yet quit right, and something is holding you back. And in a way this is true: you are holding yourself back! Sometimes there is the misperception that if you take responsibility, especially when you are with other people (i.e. in a working environment) you will be the stupid one who have to stand for what he said now. But that is only looking at it in the short term. You must realize that with the so-called “burden of responsibility” comes the freedom of living your life fully, if you go through with it. If you take responsibility over and over again in a people-environment, you will advance. You build trust among people and you will become a leader in this group sooner or later. The more important fact is, that you will become a leader for yourself. You come to the personal development by expanding on the demands you set on yourself, by saying I take responsibility and I commit to this fully, you grow inevitably. In a working environment eventually you will be recognized by your boss, bosses love people who take responsibility, and will be able to advance. Simply get clear and say to yourself: I am responsible! And you mean it. Don’t take this light-hearted. There will be a certain feeling attached to this if you really mean it. Most likely it will be a sensation of surrendering to the situation, accepting it and at the same time the build up of potential energy to act in a way to change the situation to where you want it to be. Also there might be a resistance to this from somewhere inside yourself. It may come as rationalization, which means an internal dialog that is justifying why you are not responsible: “Someone else is responsible for my situation, they did this and that …”. Remember: Whoever you give responsibility for your life, you give the power over your life. You don’t want to do that, do you? Sure another person should also take responsible actions, but you are concerned with yourself here. You want to move yourself into power. So push through this resistance. Only you can decide to get in the driving seat of your life, so just do it. 1. Where do you need to take responsibility? What is the thing that is holding you back the most in your life right now? “I am responsible!” several times until it feels completely true. 3. Feel how you take full responsibility in this issue. There is a certain tension building up and a potential of energy that is empowering, because you are in charge now and know, that you are now able to change the situation. Start with the first item on the list now (or as soon as possible). If you’ve done it and really commit to it, there is a whole new world opening. You then can begin to permanently eliminate your limiting thoughts and know that you’re deserving every little success you make. Because you took responsibility. I just wanna say a big thanks to you Myrko, i really really feel encouraged with what you wrote. i tried out following what u wrote and i find it very helpful…. It,s great to here the word responsible because I have run from my self to help support others thinking this would make life better. After ending up with poverty I now realize the importance of running with my own ideas but at the same time assisting others. I thank you for waking me back up again. I have got this and shared with my wife; we discovered there are responsibility we didn’t care for. Your content will help us to change and develop personally. I feel encourage and I will make changes and take responsibility for my life . great, great sir Myrko Thum. I got it and shared with my friends. They feel very happy when hear. They appreciate my this job. Now im trying my best to follow these advises for success and change in my life. We are what we think. All that we are arises with our thoughts. With our thoughts we make the world. I led with Buddha’s teaching about thoughts, because I wanted to link the reason we are responsible for everything we experience in our lives with the internal thoughts that we entertain. Make every thought a positive one. Only do things that make everything better. If you realize that you are thinking something that you do not want to happen, then quickly replace that thought with one that will bring you happiness (or whatever it is that you do want to happen). To the abused; in finest man van, find somewhere quiet, write down your thoughts, when you read them do you find the revolving drama that you describe? Do not perpetuate the drama by allowing yourself to continue to think about it. Find a sentence that you can replace the old (drama) thoughts with, like “Life is good now”. You can find your own sentence but do not use ‘not’ only make it a positive statement. Each time you find yourself thinking about the drama or violence that you have experienced, replace those thoughts with the new thought. To Russ; This doctrine has not been taken too far. Every thought you (or I) have ever had has brought us to the point we are currently at. You cannot be too careful with your thoughts. If you can embrace the idea that you are responsible for much of what has occurred to you personally, then go with it and try to get something out of this personal growth exercise, rather than think about possible ‘acts of god’ that make this journey toward personal growth unworthy of your participation. Just set that part aside for the moment, and take responsibility. Later, maybe years later, you may realize that indeed you did cause that giant catastrophe. I know that I have experienced all that I have thought. It is just that while thinking those thoughts, I forgot that 1) all thoughts count. 2) there are prices to pay for getting what you want. So, may all your dreams come true, and be careful not to have any nightmares. Thank you and goodbye. Your work on taking responsibility for my own life comes at the beginning of my Buddhist practice. It fits so perfectly and will be so very helpful to me. Thanks for all this. Russ, thanks for that comment. Indeed this is an over-statement, since I can’t deny that there are things that are out of your control. Of course there are! I will never be held responsible when nature strikes or when people get out of order around you. But this over-statement is on purpose and meant as a wake-up call. What I’m really talking about a supporting mindset to develop here. A mindset that is 100 percent empowering you – that gives you back control over your life. Because the first question is always how you react to anything that happens in your life. What does it mean to you, how is your internal representation of it? Are you taking responsibility for your own thoughts and what goes on in your mind? And the second question is what are you actively doing because responsibility means “response-ability”. It means you are in control – as long as you exercise that gift and take responsibility to act. My problem with this doctrine is that people and organizations take it too far. I think the underlying premise is both accurate and brilliant. I don’t think most people do take responsibility for their lives. They act like victims and hide behind the two lies of blame and excuses. 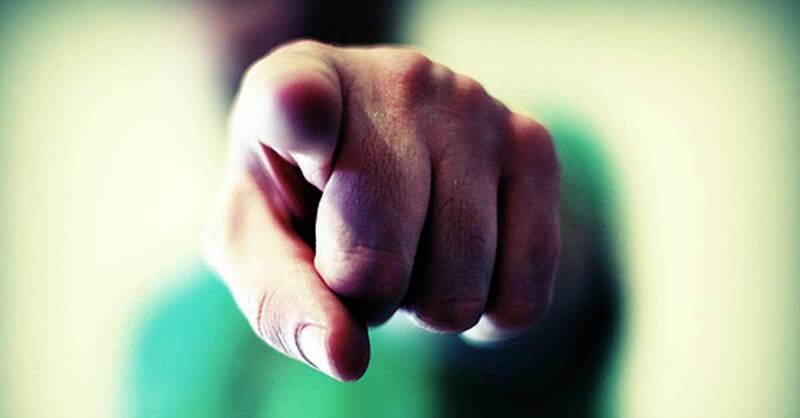 Blame puts the responsibility on someone else, and excuses are an attempt to mitigate responsibility or fault. If you find yourself blaming or using an excuse, you are virtually always responsible for whatever happens. Where I have the PROBLEM is personal development programs that vehemently state that YOU are responsibility for EVERYTHING in your life. Which, in my opinion is trying to make an iron clad rule about life, in a world where there are very few absolutes. As an example, if a meteor hits and completely destroys your house, are YOU responsible for that? I guess you could say that you have a house and therefore are responsible for what happens to it, but I think the more important question is culpability. Some things we have ultimate culpability for, like if we hurt someone. Other things like a meteor hitting your house, you have very little culpability for, and that is where I believe the line should be drawn. Let me say at the outset that I do believe we are responsible for the vast majority of what happens in our lives, and I do believe people shirk that responsibility by using blame and excuses, but I do have a problem with putting things in a neat little package that says you are responsible for EVERYTHING that happens in your life. To me it seems like dogma, an infomercial that sounds good but really is not an adequate representation of truth. To me the real question is culpability, not responsibility. Knowing what is truly “your fault” which is the majority of things in your life, but not EVERYTHING in your life. Realizing the difference is true growth and allows you to see your full potential. Thanks for this post. It is so wonderful to see someone talking about responsibility in the context of spiritual growth. So many of us miss this one key point, trying to run away from the very thing that will empower us to change our lives. Really appreciate this perspective, and it makes a blog like this stand out from many others that just talk about positive thinking and other niceties that don’t touch on the essence of our experience. In order to make a difference you do have to take responsibility. Understand that you do have control and start exercising it. So, I’m recovering from emotional trauma and from my dad being domestically violent to mom and me in the past. He’s not allowed to be coming to our house by judge’s order…only wt police to pick up stuff. It’s been daily drama. My mom’s trying to file for divorce and all, and it’s always some new things going on daily. It’s only been a month. I just went to counseling yesterday(cried alot) and after a few hours my dad shows up wt 2 cops. He has that right, but it’s very emotionally draining to see him since he never apologized for anything and just wants things. He’s an abuser. At the moment I just froze and started shaking knowing he was there. It was one of the most difficult emotional pains I’ve had in a long time. This all is happening right when I’m in college almost done wt the semester. I haven’t opened my books for the past 2 weeks and I’m just going to class to just still keep me from dropping the class. I’ve been doing pretty well until the past month when my grades started dropping. I feel as I’m not living to my fullest potential right now since my emotions are out of control and I don’t know how to take charge of my life with all this drama. Personality development includes keeping yourself fit and active-taking care of people around you. Nice to hear Sali! Then just go for it.